#rebuildPH | "Give a Day"
On Friday, November 8th, 2013, one of the strongest storms ever to hit land left 660,000 Filipinos homeless, with countless more desperately needing basic supplies to survive. 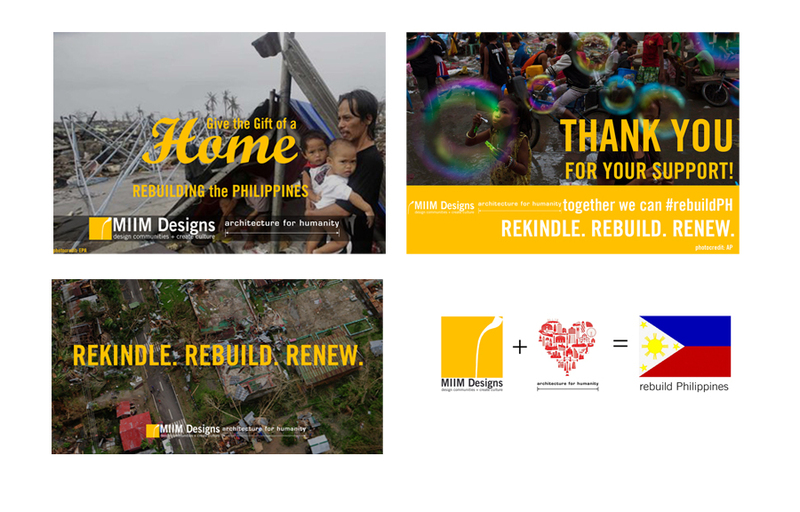 In the wake of catastrophe wrought by Typhoon Haiyan in the Philippines, MIIM Designs and Architecture for Humanity called for immediate help to rebuild the Philippines, #rebuildPH. Both organizations will be aiding local volunteers to help rebuild in the coming days and weeks. Through speaking with local stakeholders and construction professionals, they are working to begin understanding the on-the-ground situation to prioritize rebuilding needs and help affected regions build back better and stronger. Relief and reconstruction, however, cannot happen without your support. Join our "Give a Day" campaign. 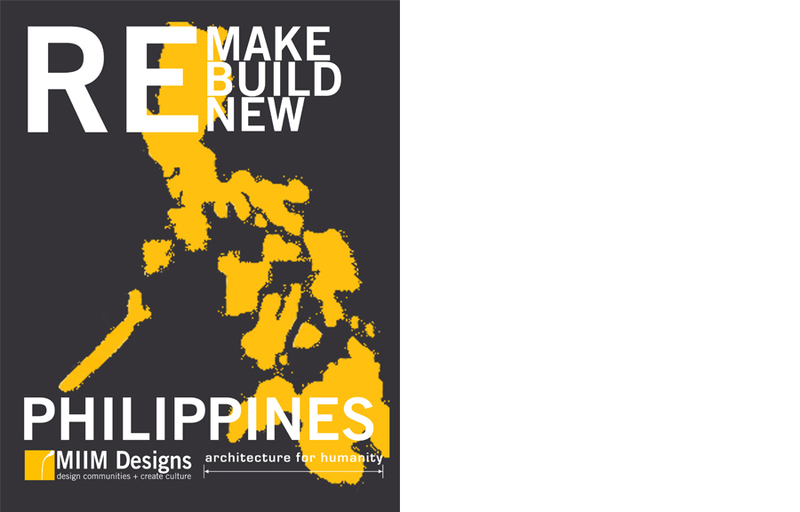 Your purchase of this T-shirt, will give a day for our architects and designers to rebuild, renew and remake the Philippines.